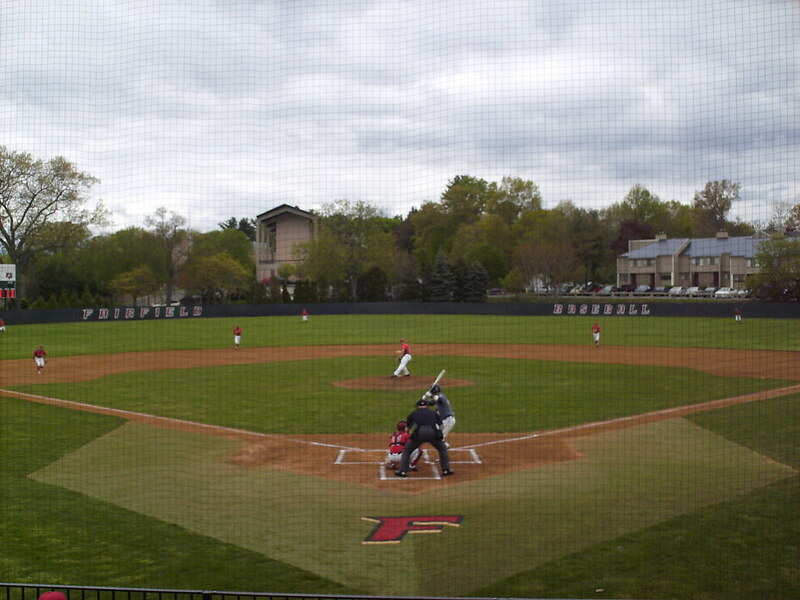 The view from behind home plate at Alumni Diamond. 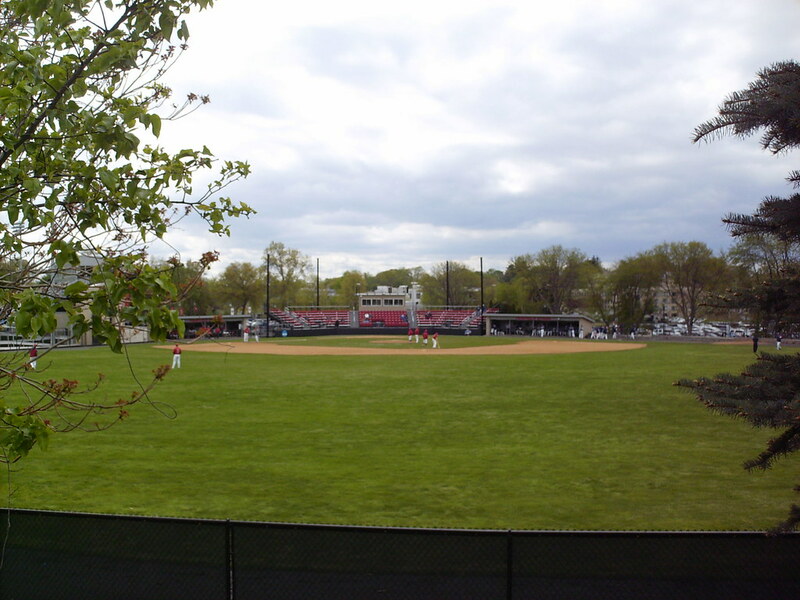 The grandstand at Alumni Diamond, as seen from behind the center field fence. 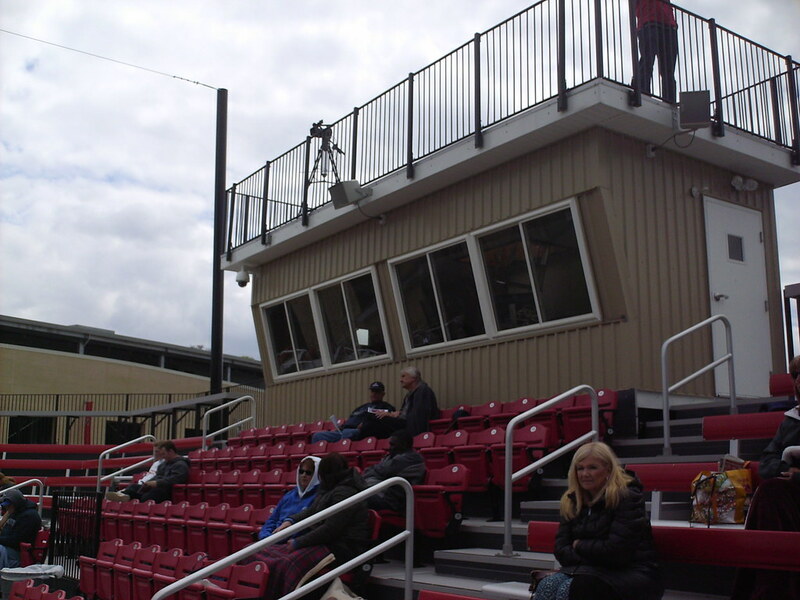 The pressbox sits at the top of the grandstand behind home plate, with a section of red chair-back seating in front of it. 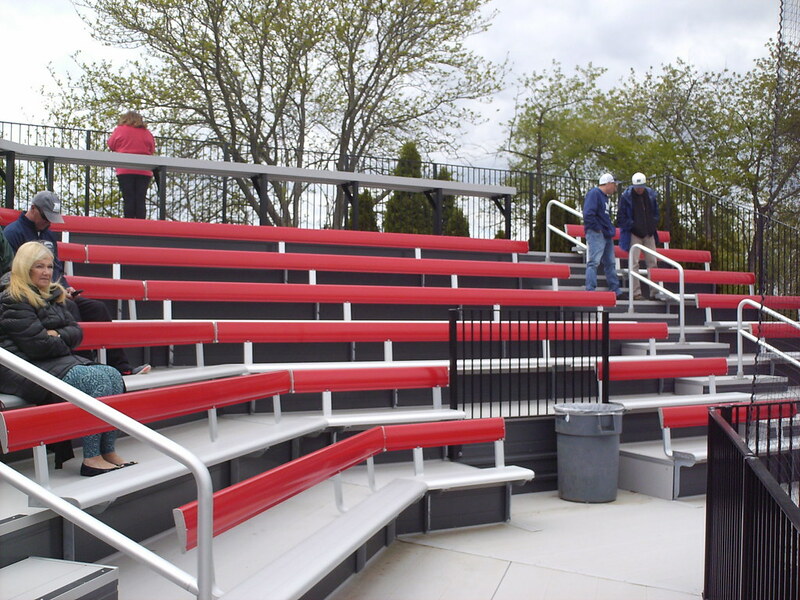 The majority of the seating is aluminum bleachers, with drink rails running along the top of the seating bowl. 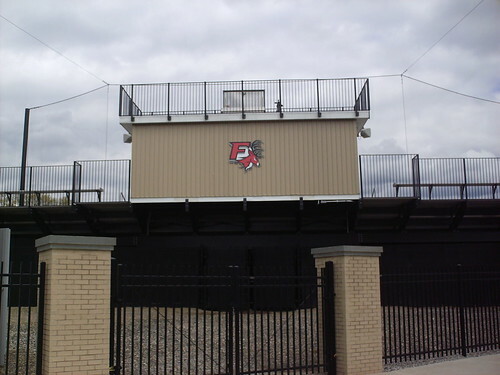 The stands were rebuilt in 2017, replacing wooden bleachers. 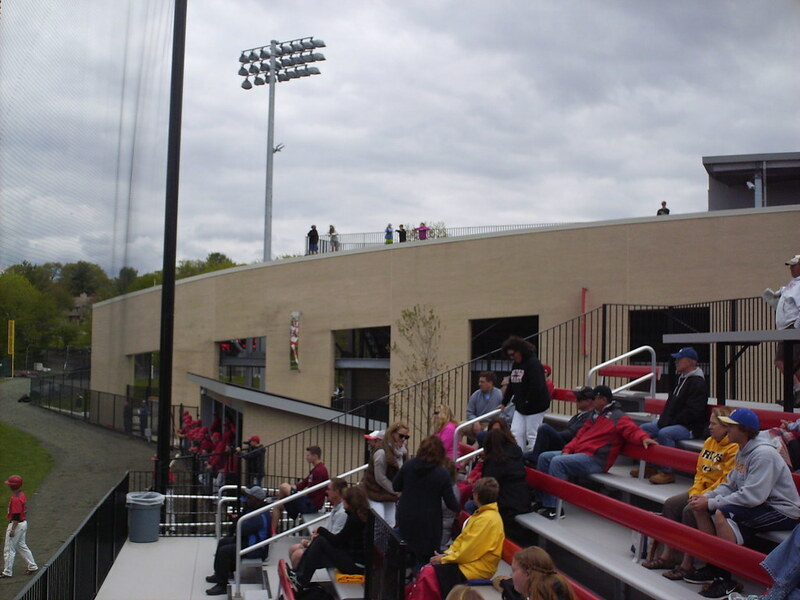 Fairfield's football stadium sits right beside the ballpark, and fans stand atop the football bleachers to watch the baseball game from above. 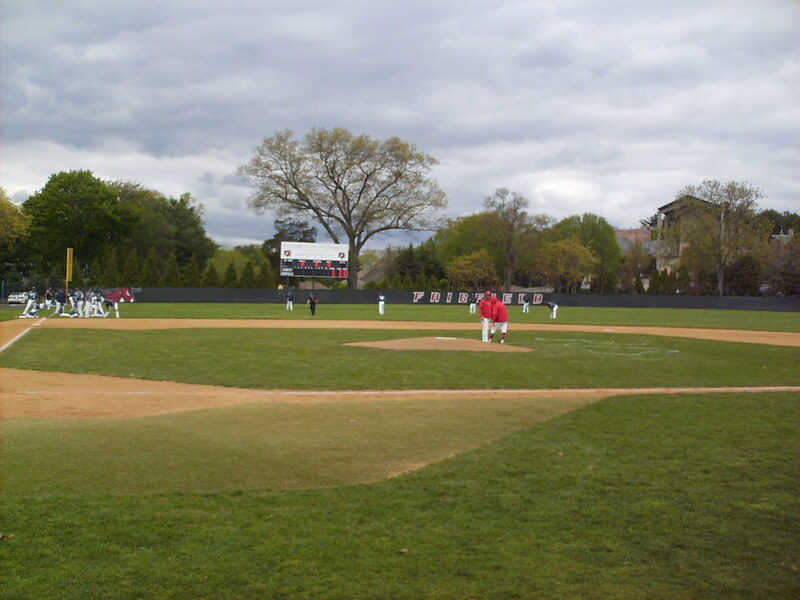 The football stadium presses right up against the baseball diamond, cutting into foul territory on the first base side. 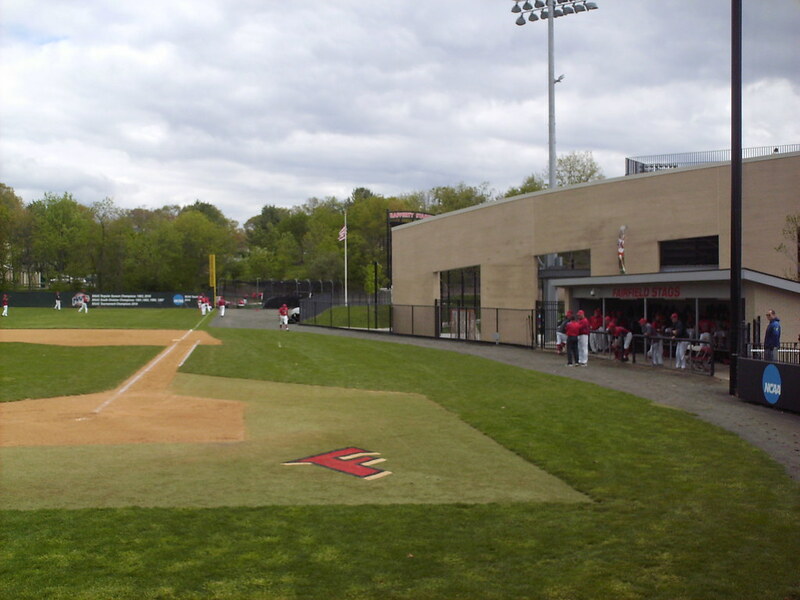 The visitor's bullpen is in foul ground on the third base side, but the home bullpen is forced behind the right field fence. 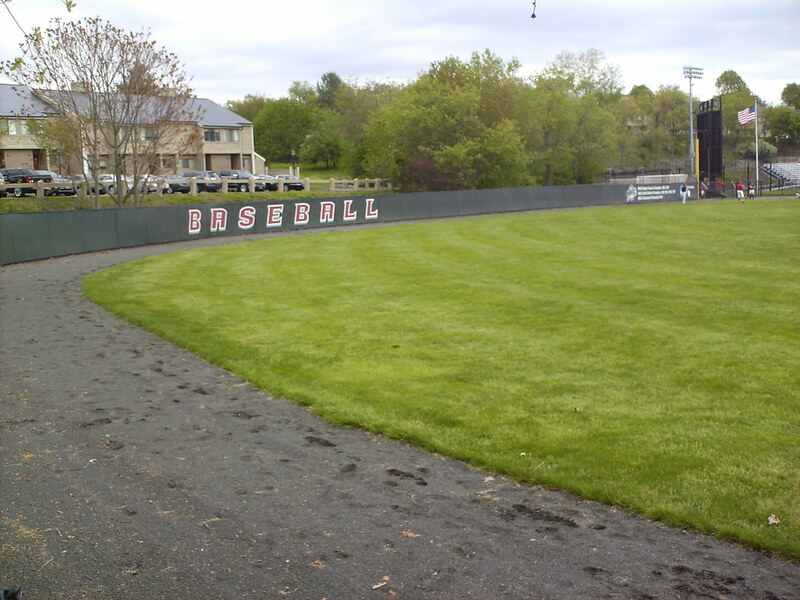 The outfield fence features MAAC titles and NCAA tournament appearances in the right field corner and student housing sits right behind the wall. 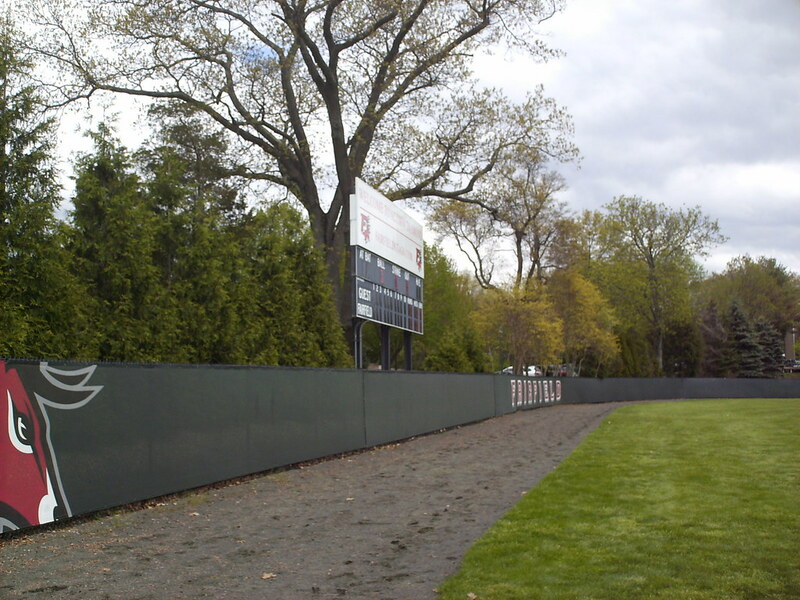 The scoreboard sits behind the left field wall, and trees act as a natural batter's eye. 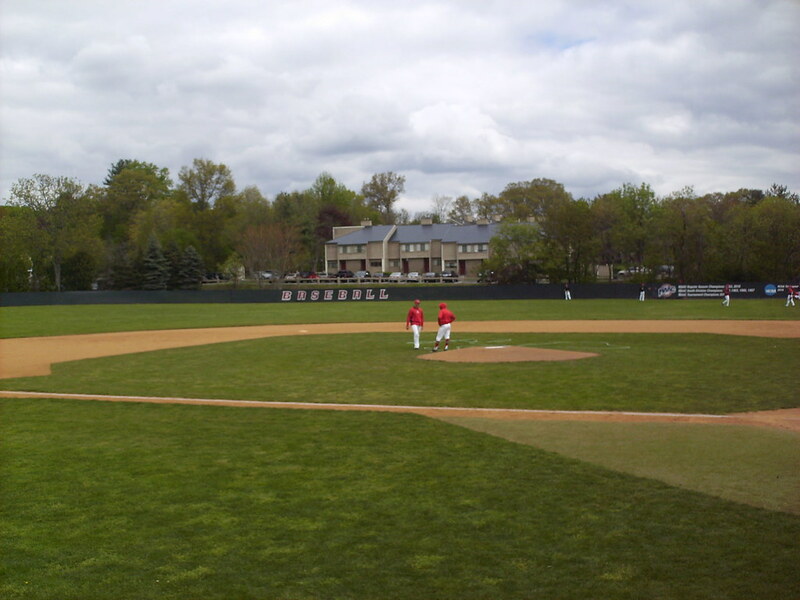 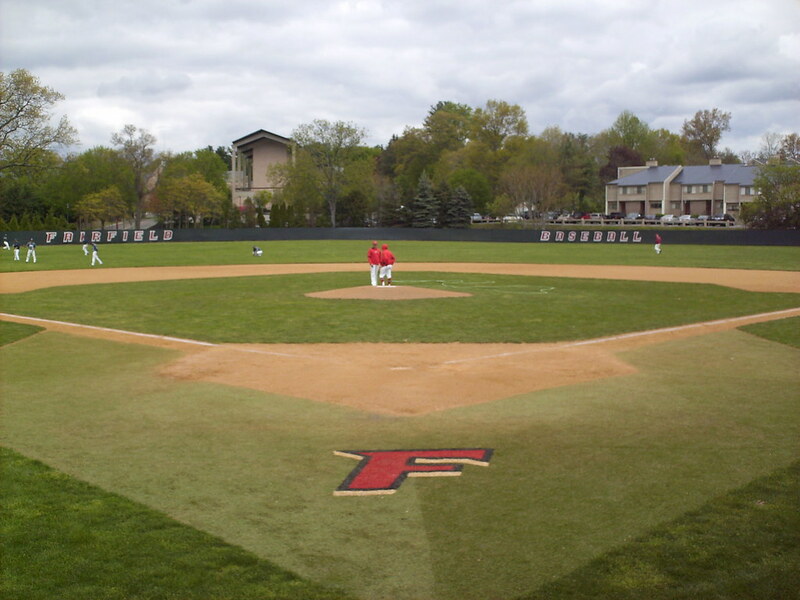 The Fairfield Stags on the field during a game at Alumni Diamond.